We also go a little deeper into a measure of multimorbidity that Melissa created, the Multimorbidity Weighted Index (MWI) that weights diseases to patient reported physical functioning. The MWI is associated with physical and cognitive function and mortality. If you listen to the podcast, you'll notice that we also mention ePrognosis. That's because Melissa's Multimorbidity-Weighted Index can now be found on the site (https://eprognosis.ucsf.edu/mwi.php). So take a take a look at her index while listening to the podcast, and do try to join us for the "operatic section" at the end. Sei: This is Sei Lee. Eric: And who else is in the room with us today? 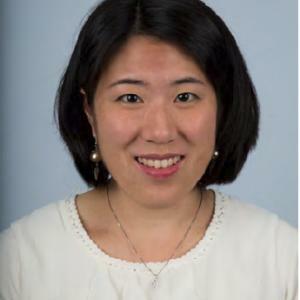 Alex: So in addition to Sei we have Melissa Wei, who is the Assistant Professor, physician researcher at the University of Michigan, General Internist and researcher. She studies multi morbidity and we're going to talk to her about a JAGS publication. Welcome to the GeriPal podcast Melissa. Melissa: This is amazing. I can't believe I'm on. This is so exciting. Thank you for having me. Eric: And this is one of our combined JAGS GeriPal podcasts and before we start every one of these podcasts, Melissa, we ask for a song request. Do you have a song request for Alex? Melissa: So I'd love to hear Bohemian rhapsody. Alex: Did you say, we were just driving over and you said you put this song on repeat while you were shoveling the snow at Michigan. Melissa: Oh, I did. Yeah, it made the time pass by much quickly. Eric: Alex, I got a question for you. When does the operatic section kick in? Eric: We're going to do it at the end, we’re gonna do the operatic section operatic section. Eric: Out of all the songs to pick Melissa, why this one? Is there a reason? Alex: Wait so you do sing Karaoke? Melissa: Not well. I love it and I enjoy it. Alex: You got to sing in the end then. Definitely got to sing. Melissa: Okay I'll join you for the operatic. Well I guess the listeners they can tune out if they choose to. Alex: So the overall topic of today is multimorbidity and that's your main research area of focus. But before we get into this sort of more researchy stuff, it'd be great cause most of our listeners are clinicians, practicing geriatricians, palliative care clinicians, people working in Gerontology. Why should they be interested in multimorbidity and what is that? Cause I know it's a researchy term, is a clinical thing? How are they encountering this in clinical practice? Eric: That was 17 questions Alex. I counted them. Alex: And after you answered that we'll sing the song and end the podcast. Eric: How did you get interested in it? Melissa: Yeah, so I came across multi morbidity in my General Medicine clinic. So I was at Grady Memorial Hospital taking care of patients as an intern. And I remember struggling with how to take care of patients with multiple chronic conditions in a very short office visit. So we had a mix of several chronic conditions, acute conditions, preventive care needs, social needs. And I usually ran late in my clinic. And so when I was trying to find out how we could better take care of individuals, I realized that there were so many guidelines and there weren't really things that could be specific to each individual that I was taking care of. So it really started from a clinical standpoint as an intern. Alex: And is there, do you have a particular patient in mind that sort of exemplifies these issues in multi morbidity? Melissa: Yeah. So one of the most profound patients I took care of was, was one of these patients. So she had many chronic conditions, some of the common ones like hypertension and diabetes. But the most acute complaint that she came with was knee pain or osteoarthritis. And we would spend the most of our visits talking about her arthritis. But at the same time I had to take care of her other conditions at the same time. And I just realized that even over the course of a short residency program, her number of conditions grew, her number of medications grew, the number of specialists involved grew and her touches of care with the healthcare system, whether lab draws or imaging all increased over time. And by the end of residency, she had over 10 conditions and she had poor mental health, poor physical health. And this really impacted me from a research standpoint because I wanted to know what I could do to better take care of her in clinic. Eric: So what is, going back to I think question number five from Alex. How should I think about multi morbidity? I see admission notes all the time, multiple medical problems, MP for short. Is, is that the same thing? How should I be thinking about this concept of multimorbidity? Melissa: Yeah, so there are a lot of overlapping constructs with multimorbidity. So complexity, multiple chronic conditions, disability, frailty, high cost, high need and multimorbidity is one of these constructs that tries to capture the complexity of the patients, including their medical issues that are coexisting all at one time. So multiple chronic conditions is another way to think about it. And there isn't necessarily one disease in particular of interest. So as opposed to a specialist looking at just their cancer or just their heart disease. It's really the holistic view of an individual and all of the conditions that they are surviving with. Alex: So clinicians probably are most familiar with the phrase multiple chronic conditions? Melissa: Right. That's the most common used term. Eric: So I could also imagine that there's, so if I have mild eczema, hay fever, some allergies, maybe some mild GERD, versus if I have COPD, cirrhosis, heart failure, I'm guessing there's a level or that being it depends on the types not just the count, right? Melissa: Exactly. So with multimorbidity, the goal is to try to move beyond just counting diseases and realizing that the severity of the diseases differ. So if you have an end stage organ disease versus I don't want to belittle any disease, but there's just a range in how diseases impact an individual. So the goal is to try to capture that and basically come up with a walking measure of burden of disease for individuals. Eric: They're retracting the email. Sei: So one question I had is as both a clinician and now a national expert on multimorbidity, what have you learned from your research that you feel like other clinicians should actually do differently for patients who have multimorbidity. Melissa: I think a lot of things we do are reactive and the goal is to try to be more proactive. So are there ways that we can ... If we know an individual's prognosis in the long run, what are things that we can be doing earlier to try to slow down the progression or prevent the progression of diseases? I don't have the answer to that, but that's one area that I think we need a lot of attention. Sei: What there's no simple answers? That's why we're here. Melissa: Physical activity helps a lot of the diseases, but it doesn't solve everything. Alex: This is so common in what we see, particularly when this is a GeriPal podcast. We talk about older adults who are complex. They have multiple chronic conditions. Often they also have disability. They may have cognitive impairment, they may have one dominant condition or they may have multiple conditions at the same time. And so your work is really trying to capture some of that complexity and specifically that complexity around people who have multiple chronic conditions at the same time. Melissa: Right. That's the goal. Alex: Great. So let's talk a little bit about sort of, maybe a little bit more before we get to the JAGS paper. I'll try to ask one question this time. You've created an index. So maybe you could tell a little bit to our listeners about like what is this index you've created? Melissa: Okay. So when I was a fellow I was looking for ways to measure multimorbidity and I wanted to create something that was patient centered that used an outcome that mattered to individuals. And so I created an index called the multimorbidity weighted index where the severity of diseases are based on how they impact an individual's physical functioning or physical health related quality of life. So a disease that has a lot of points, like multiple sclerosis affects an individual's physical functioning pretty profoundly. And then other diseases that don't have as great an impact are weighted less. Alex: And you, you develop this, do you want to just say briefly for our listeners sorta what kind of groups of people you developed it and it validated it in? Melissa: And so it was developed in three large cohorts of community dwelling adults. So roughly ages 29 to 90 plus. So they were the Nurses' Health Study, Nurses' Health Study II and Health Professionals Follow Up Study. So these are individuals who are great at self-reporting their health conditions but they're not nationally representative. So it was important to validate it in a nationally representative sample. So I used the health and retirement study to validate. Alex: Right, which is a study of older adults that is prior this, Sei and I use that all the time. It's our biggest sort of sandbox in terms of research that community dwelling older adults in particular. Melissa: Right community dwelling older adults. And they could have gone to the nursing home later, but they're still followed in the cohorts. Eric: And is it just, do they have the disease? Yes, no? Or is there something about the severity of disease for them? Melissa: So it is a yes, no for a physician diagnosed chronic condition and then severity weighs in on how it impacts their physical functioning. Alex: So they're weighted by how much they might impact physical function? Alex: So like one disease might be weighted more than another. Alex: Because it has a stronger impact on physical functioning. Alex: One question that I'm kind of thinking about is, I'm kind of struck by the incredibly broad age range of the folks in the model development cohort and was wondering if you had looked at how the model performs, have your index performs on specifically older or the adults? Because I am biased and I'm a geriatrician and also because this is the GeriPal podcast. Melissa: Yeah. So I looked at the median cut points. I looked at above and below to see if there are differences based on age and I didn't find a lot of differences. So I ended up using the entire cohort. One benefit was also to capture some diseases that were asked in the younger and middle aged adults, but were not assessed in the older adults. And so part of it was combining and using all the data possible, but it is definitely possible to continue to stratify and look at specific age groups more carefully. Eric: Great. And we should note that this index is now up on ePrognosis which many of us are involved in. Melissa: That was the highlight of the index. Eric: So you can go to eprognosis.org. You can look at the calculators page and you can find Melissa's, it's the Multimorbidity Weighted Index which also could be the Melissa Wei index MWI conveniently. But you've shown that this index predicts things other than physical function. Could you say a little bit more about that? Things other than what we're going to talk about here in the JAGS paper. Melissa: Right. So when I think about how multi morbidity impacts an individual. I have a conceptual framework that includes several outcomes ranging from physical functioning, cognitive functioning, health related quality of life, disability, participation in activities and the end all outcome of mortality. So I've been looking at how the Multimorbidity Index predicts these outcomes over time and have produced a series of studies looking at these outcomes. Melissa: Mortality, long-term physical functioning, some of the objective measures like grip strength, gait speed, cognitive measures like delayed memory, immediate memory recall, working memory, the ticks measure of global functioning. Alex: Great. So those are things that you've shown in the past. Do you want to set the table now about this particular article and what question you were asking here? Eric: So again for those who are listening will have a link to the JAGS article on our GeriPal website and the title is “Multimorbidity and Mental Health Related Quality of Life and the Risk of Complicated Suicide”. Melissa: So in this paper I was interested in looking at the impact of multi morbidity and health related quality of life. So it's obviously a universally valued outcome for individuals, but it's not often studied. I had the benefit of using the SF 36 which has several scales of both physical functioning and physical health related quality of life in other mental health related quality of life measures. But perhaps one of the worst outcomes of poor mental health related quality of life is suicide mortality. And we currently don't have anything effective in our healthcare system to screen for individuals beyond just asking whether someone has an intent or plan to harm themselves. And so this index really looks at how the number of diseases and the severity of the diseases over time have an impact on them. And basically with more and more multi morbidity, there's an increased risk of suicide mortality. Alex: And what population did you use in this study? Melissa: So this study is looking at the Nurses' Health Study and the Health Professionals Follow Up Study in the Nurses' Health Study II. So these are health professionals, non-physicians. Alex: They tend to be older at this point in this study. Melissa: So I covered a range. I had older adults, but also younger and middle aged adults. So basically young women who be dying at all had high rates of suicide mortality if they had high multimorbidity. Alex: This is really interesting that your index developed to predict physical function predicts suicide. So I'm just trying to think, conceptually how are those linked? Like is there a story there. Melissa: Yeah, I think that physical health and mental health are intricately linked and so when an individual has a lot of burden physically, their mental health is often also affected by it. And so in this study we found that both mental health and physical health declined with worse multimorbidity. Alex: And is this something that you think is ready for ... You were suggesting that maybe this could be used for screening for suicidality? Melissa: I think they probably need to validate it first before going real time, but I think it could be used potentially. I'd have to test it first to see how it performs. Alex: Right. That's sort of gets that sort of what's the next step for this, this index. You've shown that it predicts a number of outcomes, but how do you see clinicians using it? Like for our geriatrics clinicians, our geriatricians, our palliative care docs, nurse practitioners, nurses. Melissa: Yeah. So the goal in building this index is to be able to use it and operationalize it in the clinical setting. And so the goal is really to have some real time calculation where I can look at the medical record and say, how sick is this person based on their multimorbidity? So I'd like to eventually get this into the electronic medical record where it's automatically calculated based on chronic conditions and we have kind of a walking burden of disease or physical functioning burden of this individual based on a number. Sei: Have you done any sort of diagnostic tests, characteristics like positive predictive value or sensitivity specificity? And specifically what I'm looking at, thinking about is if even if the hazard ratios are really impressive if suicide itself is actually not very common, may be this tool may actually identify many hundreds of people for the small numbers who are actually attempting or thinking about about suicide. So I was wondering if we're thinking about that next step of how do we implement this, those sorts of questions it seems like it would be really important. Melissa: Yeah so those would be the next steps before implementing it. Eric: Do you get a sense from this paper and what you've found already, do you get a sense of those in that the highest quartile or decile, how much more at risk are they compared to those in the lower.Do you get a sense of how good of a job it does discriminate those two groups? Melissa: I think it does a fairly good job in terms of predicting mortality. So we have over three fold increased risk of mortality or over six fold depending on the population that you're looking at. So I think there is good face validity with that. Alex: And getting away from clinical applications, could you say a little bit about how you ... Some of our listeners are researchers. I have had some researchers come up to us at conferences and say and talked about listening to our podcasts. So for those researchers out there, is there a message you want to convey to them about how they might use this, this index, the MWI in their work? Melissa: I think a lot of times we try to risk adjust for individuals. So basically remove the potential confounding effects of all of their comorbidities. And this has traditionally been done in indices that weight diseases based on mortality. But I would argue that there are a lot of diseases that people have that are not directly linked to their mortality, but that have profound effects on their health related quality of life. So for individuals who are interested in those outcomes, this would be one potential way to adjust for those other conditions. Alex: And health systems too, right? In terms of if they're thinking about, who are the sickest patients, where do I direct resources and maybe potentially for demonstrating to payers that they're taking care of sicker patients than other health systems, for example. Melissa: Yeah. So another way to potentially identify high cost, high need patients, complex patients. Eric: I mean that seems right of both geriatrics and palliative care when we’re thinking about case finding and trying to find populations of folks that we can help with the most given the limited supply of palliative care. Um, it seems like kind of right up that alley. Melissa: I think of identifying individuals earlier based on their biologic age and not necessarily their chronologic age. So even in internal medicine, we have younger and middle age adults who could be geriatric based on their conditions. But if we move beyond age and look at the conditions that they have, it can make a lot more headway there. Alex: We're talking about the differences in those two indexes, because many people go to ePrognosis and use the Lee index or the Lee Schoenberg Index, where does the MWI fit in and how does it distinguish itself from those? Sei: So I'll jump in. I think, mortality indexes I think were the ones done first for a couple of reasons. Number one, the death is easier to measure than some of these other things. And I think what's really great to see from my perspective is how the field is continuing to move forward. I think we usually think of what the people who are at highest risk for dying are the ones who are at highest risk for needing nursing home care, highest risk for rehospitalization, highest cost. So a lot of these things are run to a run together and actually highest risk for functional decline. But the science is now to the point where actually if we develop a model specifically to measure functional decline, we can do better at that than trying to use a mortality index to also look at functional decline. And so I feel like what Melissa has done with focusing on function as the outcome, she was able to find things that actually have great face validity. And so we talked about how osteoarthritis is not something that actually puts you at higher risk of dying sooner, but it is incredibly important for putting you at higher risk of needing of having lower functional status. So I see kind of the work that Melissa is doing in terms of a functional status as a natural evolution of some of the work that I did now a while back. Melissa: Thanks. That's really kind of you. I'm in a room of giants for the prognosis indices. So I do think of multi morbidity and how diseases impact an individual on a real continuum. So mortality is the ultimate outcome that you want to prevent. But the goal is also to look at what can we look at upstream to that. So declines in physical functioning, declines in health related quality of life, declines in disability. What can we do to try to decrease the slope or the rate that these are happening? Eric: So let's go back to you. You started off talking about the challenges you faced as an intern and how this got you to think about multimorbidity. Has what have you done already changed how you care for patients on a day to day basis? Has it shifted how you think about it and are there some practical things that we can give our listeners as far as things that we can apply to our practice? Now I just did what Alex did. I just asked 4 questions. You could tell we are professionals at this. Sei: Do not try this at home. Melissa: So I do think that that my work in multimorbidity has impacted how I examine patients and I think about their long-term prognosis as well as the office visit right in front of me. I try to look at their, more like patient goals directed care. So some of what Mary Tinetti is doing and really trying to focus on those issues. I also think about screening. So some of like Louise Walter's work and should this individual be screened based on their chronologic versus their biologic age. I also think about initiating advance care directives earlier for someone who is functionally much older than their age would suggest. So there are a lot of possible areas. Also if someone has osteoarthritis, I try to send them to PT, I try to find other ways to get people moving and more physically active. Eric: Last question from me, what's next for you? What's the next thing in this research pathway? Melissa: So I think that the multimorbidity could go in several different directions. So when I think of the conceptual framework, there's areas of preventing multi morbidity and the center is measuring multimorbidity and then the end result is better taking care of individuals with multimorbidity. I think it's a life time of work over time. But I'm currently focused on trying to see how this would perform in an electronic health record. So I'd be interested to see how healthcare systems could use such a tool. Eric: Great. And Alex, what's next for us? Eric: Say operatic say operatic say operatic. Alex: We will try the operatic, though I have never played the chords. Eric: Melissa, I want to thank you very much for joining us today. Melissa: Thank you so much for having me. Eric: Joining us with a little, Bohemian Rhapsody coming up. Okay Alex, a little operatic section. Alex: Alright. [Singing]. All right here we go. Eric: If you're listening, join in. Eric: I think we just lost all of our listeners. Eric: If you are still listening out there, thank you very much for joining us. Melissa: We're on to the next verse. Eric: Yeah. We are. It is truly impressive that you stuck with that. We look forward to having you with us in our next podcast. Melissa thank you very much. Eric: And goodbye everyone. I just said, Alex's endtro line. Alex: And good bye everyone.